My friends who visit this resort town always want to come back. This is why. There are many places that inspire a sense of wonder, but only a few claim a special place in our hearts. One of those places that has slowly made its mark on me is the seaside resort city of Pattaya. Growing up with a spirit of adventure and the thirst to explore new cultures in other lands, I left the Philippines and ended up in Thailand. Coming to the Land of Smiles, I definitely had expectations as to what my life here would be like. Reality would give me more than what I had hoped for when I ended up working in such a dynamic and interesting environment. 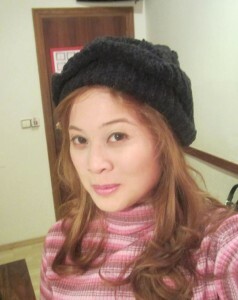 Thus begun my sweet rendezvous with Pattaya city. Pattaya is a city that has almost everything. Its charm lies in its diversity and limitless offerings for various types of people. With friends from all over coming to visit every now and then, I have never run out of great places to show them with the added benefit of always having a lot of fun activities to do—from the famous Pattaya Floating Market to world-renowned cabaret shows and the infamous Walking Street. As someone who appreciates a little rest and recreation amidst the hustle and bustle of work, I truly consider myself lucky that Koh Larn (Coral Island) is just 20 minutes from Pattaya Beach by speedboat. Situated to the west of Pattaya, this gem of an island can be a haven of tranquility offering a dose of fun, especially during the weekends. It has beautiful sandy beaches surrounded by breathtaking landscapes, where you can have your fill of stunning sunsets. There is so much more to Pattaya than meets the eye, and so many fun and exciting family-friendly attractions to enjoy. Active types can enjoy some of the best golfing, diving, sailing, and other water sports available. I always have fond memories of my childhood visits to this city many years back, when I had such fun experiences at the popular Ripley’s Believe It or Not (www.ripleysthailand.com) at Royal Garden Plaza and enjoyed elephant rides at Nong Nooch Tropical Garden (www.nongnoochtropicalgarden.com). At present, these attractions have increased their offerings to locals and tourists alike by adding more fun features, especially at Ripley’s, with the Infinity Maze, 12D Moving Theater, and the amazing Sky Rider. 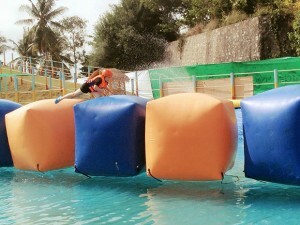 For a little wipe-out adventure, Splashdown Waterpark Pattaya (www.splashdownwaterparkpattaya.com) is at the top of my list. There is also the Underwater World (www.underwaterworldpattaya.com) that showcases the rich variety of marine life found around the region, the Sanctuary of Truth (www.sanctuaryoftruth.com), the Million Years Stone Park & Pattaya Crocodile Farm (www.thaistonepark.org) and my personal favorite: the relaxing Pattaya Lookout Point that provides amazing views of Pattaya Bay. Another major draw of the city is its wide selection of restaurants serving the freshest seafood, and the excellent choice of authentic foreign eateries it offers. Friends who visit always leave with such fond memories of this diverse city that they constantly end up making the unwavering promise to come back again.